The cooperation between HITACHI Elevator and Vanke dates back to 1996, when Vanke City Garden (Shenzhen) purchased 10 elevators from HITACHI. So far, the cooperation has covered 22 provinces and over 100 cities, with 30,000 elevators delivered and over 10 billion yuan achieved. Together, the two have built a number of premium projects, including Vanke Center (Shenzhen), One City (Shenzhen), New Park (Beijing), Diamond Plaza (Chengdu), and Vanke City (Zhuhai). During the 22-year partnership, HITACHI Elevator has persisted in providing professional building transportation solutions and efficient resources. Early in 2010, HITACHI Elevator offered Vanke 100% original maintenance service and fulfilled the all-around cooperation involving the entire life cycle of elevators. The two parties developed the system settlement module improving the financial settlement efficiency in 2017. Vanke with its regional centers can monitor their elevators in 2018 because HITACHI Elevator has shared the remote monitoring system. HITACHI Elevator is solving the social issues by innovation-driven methods and flexible use of data to accelerate the open innovation and provide total solutions to Chinese building transportation and building system management. 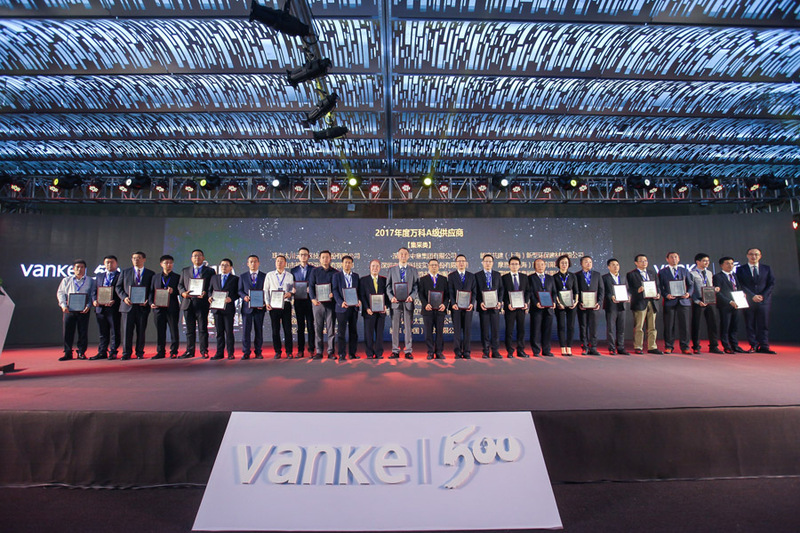 Also, by actively participating in Vanke's diverse real estate projects, the company is helping optimize and upgrade Vanke's business blueprint, contributing its effort in promoting China’s urban rural construction and life service.